Despite two separate ISIS bombing attacks on Christian churches in Egypt Sunday, the Vatican has confirmed that Pope Francis is moving forward with his plan to visit Cairo just three weeks from now. On Monday, Archbishop Angelo Becciu, the number two of the Vatican Secretariat of State, confirmed that the Pope would still be traveling as planned to Egypt April 28-29, just as Egypt’s Cabinet announced a three-month state of emergency. On Sunday morning, jihadists set off two separate explosions in the Christian churches of Mar Girgis (Saint George) in Tanta, and Saint Mark’s Church in Alexandria, killing at least 45 people and injuring scores more. The Islamic State terror group immediately claimed responsibility for the attacks in a statement from the organization’s Amaq news agency. “Islamic State squads carried out the attacks on two churches in Tanta and Alexandria,” the statement declared. 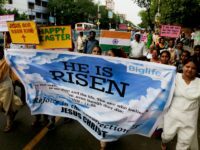 The Pope was informed of the attacks during the celebration of Palm Sunday Mass in the Vatican, Becciu said, after which the pontiff publicly denounced the bombings in his weekly Angelus address at noon. Last summer, Islamic State representatives expressed deep offense at Pope Francis’ claims that their war was not being waged for religious motives, hastening to assure the pontiff that their sole motivation is religious and sanctioned by Allah in the Qur’an. ISIS censured the Pope for his naïveté in clinging to the conviction that Muslims want peace and that acts of Islamic terror are economically, rather than religiously, motivated. “This is a divinely-warranted war between the Muslim nation and the nations of disbelief,” the authors state in an article titled “By the Sword” found in their propaganda magazine, Dabiq. Pope Francis “has struggled against reality” in his efforts to portray Islam as a religion of peace, the article insisted, before going on to urge all Muslims to take up the sword of jihad, the “greatest obligation” of a true Muslim. 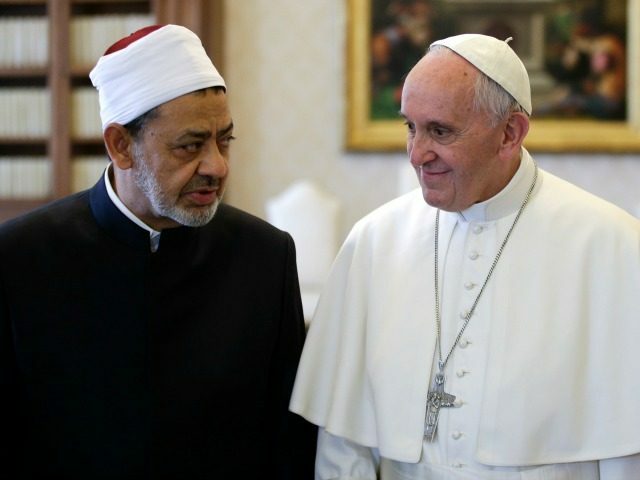 During his upcoming visit, Francis will meet the grand imam of Al Azhar University, Ahmed el-Tayeb, the highest authority of Sunni Islam, as well as Egyptian government officials and prelates of the Coptic Church.